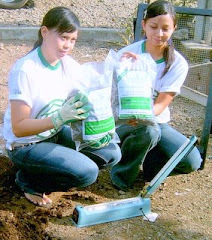 CVSK is a national company who act as principals ( owner of the brand, quality standards, network marketing, licensing and other trade terms) in the development Gramalet fertilizer technology and then developed in various activities compost, organic fertilizers, composting waste processing equipment and organic waste as well as activators decomposer organic. 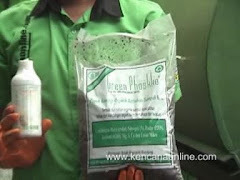 In the category of material of organic fertilizer ( compost) , CVSK has managed to isolate microbial ( probiotics) decomposers and garbage and various minerals for the continuity of modern composting, hygienic, economical and quick. 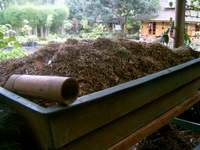 Microbial decomposers are compost activators Green Phoskko® ( GP-1) and bulking agent ( organic bulking agent) Green Phoskko ® ( GP-2) . For the continuity of effective and efficient decomposition, developed machine maker ( composter) Biophosko® such as the interests of composting at the household scale, waste management or environmental scale Rotary Kiln engine for commercial business interests. Machine maker tools and technology of waste and organic waste decomposition is very useful for hobbies park, and the manager in making compost by using raw materials derived from household waste; Or, for entrepreneurs to get business-type Rotary Kiln will provide a business which produces faster than manage waste commercial areas ( housing, factories, markets, industrial estates, malls, hotels, restaurants or apartment environment.) In fact, for the cities that have problems with the location of final disposal ( landfill) waste and waste management are still weak and metropolitan waste, Rotary Kiln Biophosko® will help reduce the waste completely from the source or location of waste generated ( family or household , restaurant, mall, market, factory canteen, vegetable markets and hotels) . For large scale, Rotary Klin machine maker tools can be selected between the capacity of 1 m3 ( 1 / 3 Ton) / 5 days, 3 m3 equivalent to 1 ton / 5 days to 6 m3 ( 2 Ton) / units / 5 days. law bwt tanaman yang indah apa?